UCLA alumnus Deborah Feinerman, current Executive Vice President of Business Affairs and Legal at Paramount Worldwide Distribution, exemplifies the powerful woman—but she didn’t follow a sure-footed path to her success. After Deborah received a B.A. in Economics from UCLA decades ago, she veered away from a business-centric path and instead proceeded to Loyola Law School to pursue a J.D. She eventually went on to work at the law firm Gibson, Dunn, & Crutcher in Los Angeles for just shy of 20 years. 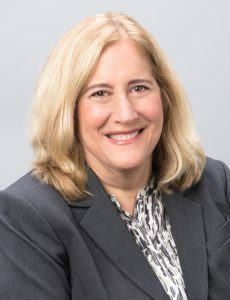 Following her extensive experience at the law firm, Deborah was connected to Paramount by a colleague, where she has moved up in the ranks ever since. For Deborah, the choice to pursue Economics at UCLA was spearheaded by an interest in business more than anything else, although her interests spanned across a variety of social science courses. Law school was never a clear destination for her. Rather, it was her father who planted the idea of applying in her head, citing Deborah’s aptitude for talking and debating. Once she was accepted to Loyola, she knew she was going—though she wasn’t quite sure what her particular focus would be. After graduating from Loyola, Deborah spent most of her time working in her law firm’s litigation department. However, she found herself gravitating toward business matters. She liked working on deals, though her path meandered through corporate work, banking work, and the like. Toward the end of her time at the firm, she had been working on entertainment related matters when one of her colleagues brought up the prospect of working in-house for Paramount—an opportunity Deborah grasped. Now in a more business-centric environment as a lawyer at Paramount, Deborah believes that her foundation in law eased the transition from a law firm into a corporate office. Her current position at Paramount includes management duties alongside her legal responsibilities—she now leads a team and reflects on how stronger leadership roles adhere to more administrative and personnel responsibilities. Although her time at UCLA was long ago, she believes her education provided her with a solid foundation to successfully pursue a J.D. Deborah is also thoroughly impressed by UCLA’s Economics program, which she claims has only been on an upward trend over the years and allows one to pursue a broad range of interests.